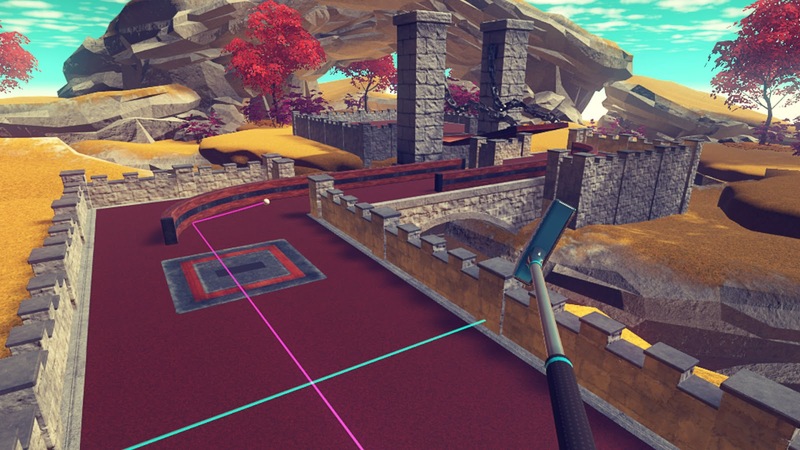 There are two games I've played in VR so far that felt like sports, Cloudlands: VR Minigolf and Holoball. Holoball pits you against an AI opponent in a game that lies somewhere between pong and tennis. I broke a sweat playing and it was decently fun but I feel like this is low hanging fruit. It didn't really do anything to wow me. But hey, if you're a fan of tennis or pong this game is for you. 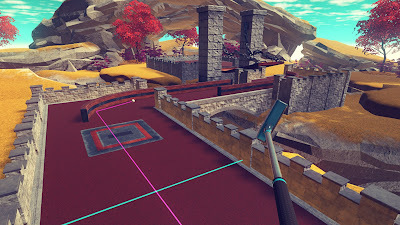 On the other hand Cloudlands: VR Minigolf starts like a normal game of minigolf and feels decent but quickly strays into the realm of holes that would be impossible in the real world. I love it for that. There are no reasons to follow typical course construction in VR and when the level designers are having fun you can really tell. I only wish there were more than 18 holes included in the initial release. I hope Cloudlands patches in more holes because it's a really fun game. It's kind of amazing that all they really needed to do was rip off minigolf and they have a compelling game, but VR is interesting like that.